Intended for: photography students, pro photographers, amateurs. 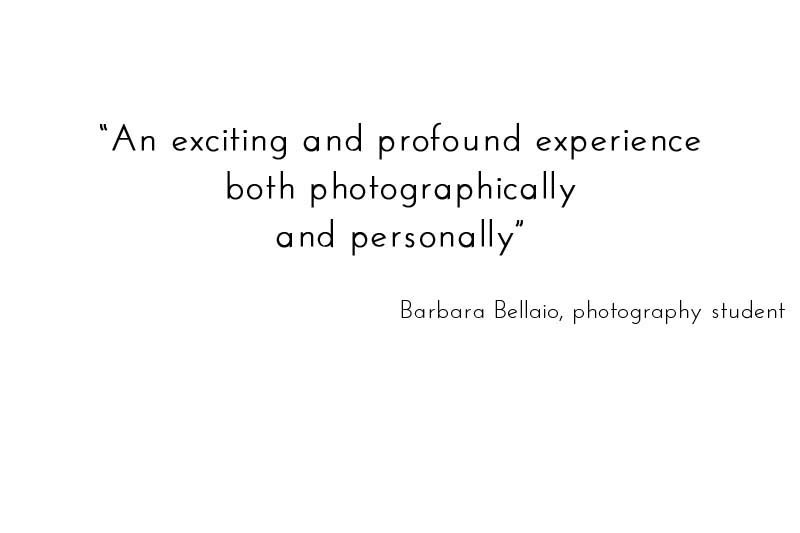 Focus: portraiture, interaction with the subject and quick and intuitive composition. Description: An intense and fun weekend, designed to help participants enhance their ability to interact with the subject and compose their images quickly and intuitively. The decidedly non-conventional workshop focuses on refining the photographer’s sensitivity and ease in moving through the various steps in image production. During the workshops, the participants will have an opportunity to hone their ability to get in touch with some aspect that makes the person they want to photograph special and unique (perhaps something the person is not even aware of) and immortalize it. There are exercises on perception, interaction and creativity to be performed individually, in pairs or in a group, with or without the camera. How do we usually perceive reality around us? Objects, views and people emit a different light when observed with conscious attention: beyond their shapes, materials, colors and textures they are an expression of life itself. Capturing that depth through our lens is different from pursuing a “nice picture”. It requires knowing how to connect with the subject and how to use one’s own personal photographic technique promptly and flexibly. Where: the upcoming workshops are listed on the Dates page. Workshop price: you will find prices for upcoming workshops by going to the Dates page and clicking on the specific workshop. Required equipment: Digital reflex camera with 50mm luminous lens plus the participant’s favorite lenses, laptop computer with Photoshop and photo-editing software, USB key. ° Except in certain cases, technical aspects of camera use will not be discussed during the workshop. Participants are expected to know how to use their cameras and computer programs. 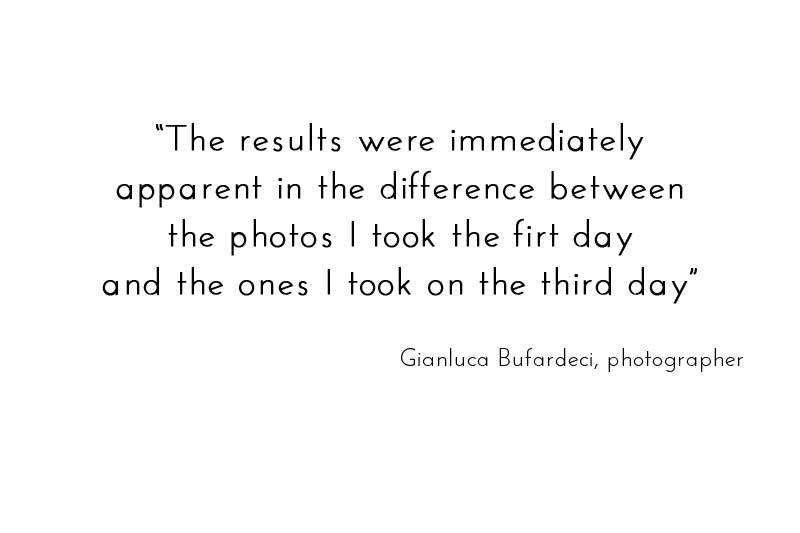 ° During the exercises, participants will photograph each other. ° The course is open to participants of any age or nationality. 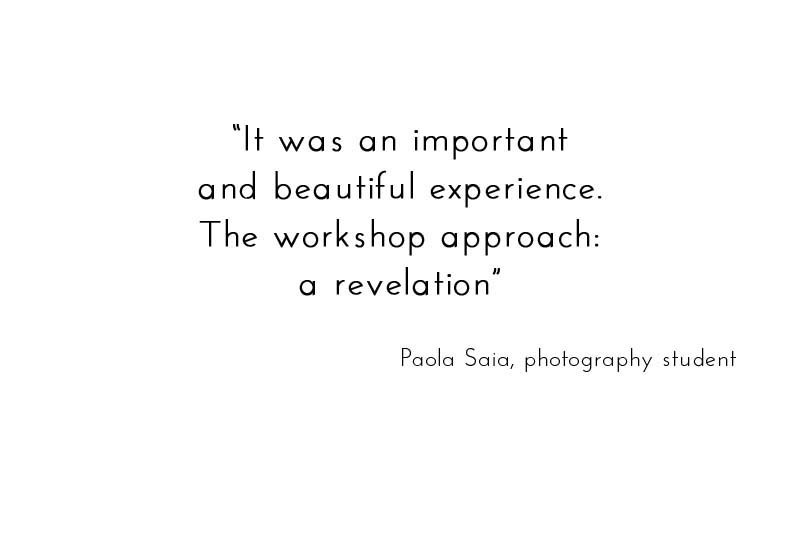 An intense and fun weekend, designed to help participants enhance their ability to interact with the subject and compose their images quickly and intuitively. The decidedly non-conventional workshop focuses on refining the photographer’s sensitivity and ease in moving through the various steps in image production. if you would like to be informed about future workshops in English please send us an email.